NSI Projects are proud to announce being awarded ‘Highly Commended’ in the new SDG Quality Assurance Scheme Certificate of Achievement. This auditing is the first scheme of its type for the storage industry. 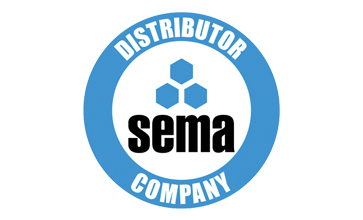 The SEMA Distributor Group has announced that from 2014, all SEMA Distributor Company members must be independently audited on 25 quality measures in order to maintain their membership status. Each member that passes the audit will be able to prove that their products and services meet the SEMA QA standard by way of a certificate. The SDG recruited and partnered with a leading independent international quality assessor, QCS International, to audit all 30 SDG members every three years. Last year’s pilot scheme proved successful and the programme is on target to audit every SDG company before May 2014. The SDG companies are assessed in two key areas; the process control of actual projects on the ground and proof of controlled administration. Companies must achieve 60% or above to pass and those achieving 90%+ are awarded the Highly Commended status. A pre-assessment of the member’s quality manual is followed by an on-site audit. NSI Projects proved its commitment to the highest quality standards by gaining the status of Highly Commended, being recognised for the hard work of the projects team with full marks in many areas including ensuring full adherence to the CDM Regulations for both notifiable and non-notifiable projects and the issuing of maintenance information to the client along with working to SEMA Standards on all projects. With the large number of distributors in the storage equipment industry, for customers, it is the first time they are able to differentiate from companies that have this quality standard and those that just hide behind the glossy brochures and websites, with no necessary qualifications or standards. The audit certificate is proof to our customers that their project will be designed in line with all relevant regulations and standards, with the installation being undertaken by audited contactors, all of whom are qualified for the works to be undertaken with the entire process being overseen by a NSI Project Manager who will ensure full compliance to all legislation and standards. NSI customers will now easily be able to recognise that we maintain the highest quality credentials.